Whether it’s through an SMS, Citibank Online or Samsung Pay, there are so many ways to get the things you love without cash! 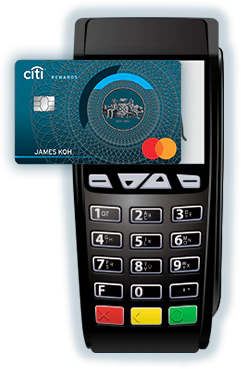 Pay for your purchases with your Citi card. An SMS* will be sent to your mobile phone number registered with Citi with a link for you to redeem. Tap on the link and select the number of points or miles to use for your redemption. A confirmation page will be displayed once the redemption is successful. The redemption will be reflected in your next card statement. Pay with Points Terms and Conditions. 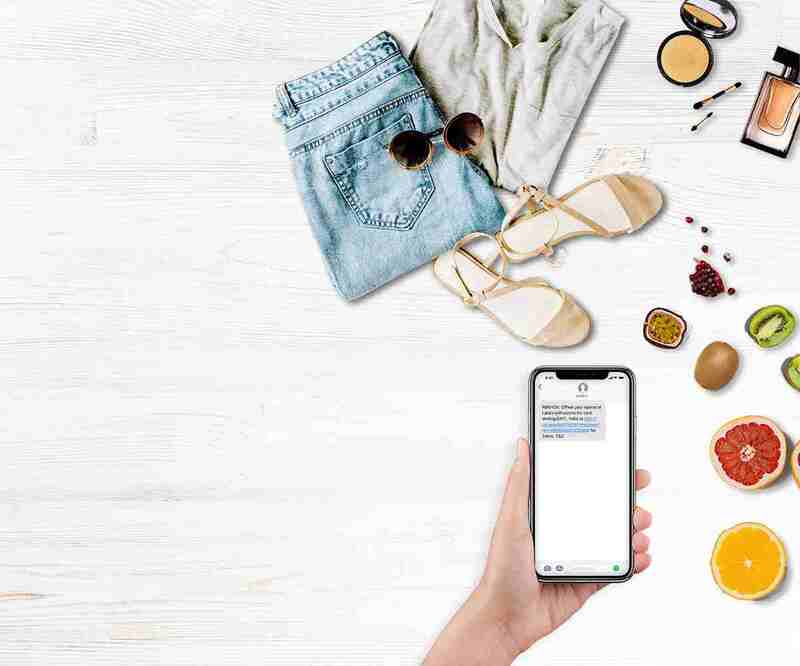 *A ‘Pay with Points’ SMS will only be sent to cardmembers who have a minimum of 5,000 Citi Rewards points or 750 PremierMiles in their account, AND have made a minimum purchase of RM4 at participating merchants. Cardmembers will receive a maximum of two (2) SMS per merchant per card in a week. Once a redemption order(s) has been placed and accepted by Citi, it cannot be revoked, cancelled or exchanged. Points or miles that have been redeemed cannot be reinstated. ^Only available for full redemptions of Spotify transactions for Spotify Premium Products. Spotify Premium Products in Malaysia consist of Standard Premium and Family Plan only. Valid until 1 June 2019. I do not have enough Rewards Points or Miles. Can I combine my Citi Credit Cards' Rewards Points or Miles to offset my purchase(s) or transaction(s)? No. Rewards Points or Miles from multiple Citi Credit Cards cannot be combined to offset or make purchase(s) or transaction(s). You can only offset your purchase(s) or transaction(s) with available Rewards Points or Miles on the same Citi Credit Card. How do I check my available Rewards Points or Miles? 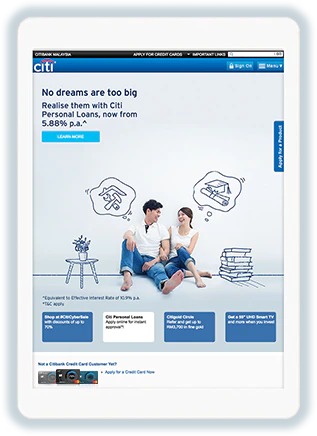 You can refer to your monthly credit card statement or logon to www.citibank.com.my then click on your Citi credit card number. Your available Rewards Points or Miles will be shown on account details screen. Can I perform Pay with Points redemption on the same purchase or transaction multiple times using the same credit card on the same day? No. You can only perform one (1) redemption for the same purchase or transaction. How do I know if the amount of Rewards Points or Miles deducted is correct? The amount of Rewards Points or Miles to be deducted will be shown on the redemption screen before you proceed with redemption. You are required to verify before you confirm on your redemption. Can my supplementary cardholder perform Pay with Points redemption on my behalf? No. Pay with Points SMS will be sent to principal cardholder. Hence, only principal cardholder can perform the redemption. Can I perform Pay with Points redemption after 24 hours from receiving SMS? No. You can ONLY perform Pay with Points redemption within twenty four (24) hours of making a purchase. You may logon to www.citibank.com.my/thankyou to find out the list of participating merchants. Can I amend/cancel my redemption order(s) after my redemption order(s) has been completed and accepted by Citi? No, your redemption order(s) cannot be amended or cancelled once it has been completed and accepted by us. What is Pay with Points Online, and how does it work? 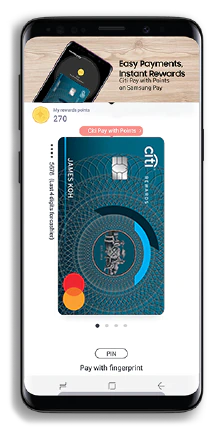 Pay with Points Online is a feature of Citi ThankYouSM Rewards Programme where you can redeem recent purchases in selected categories with your points or miles. Purchases must have been made with an eligible Citi credit card. Who is eligible to use this feature? You are eligible if you are a principal cardholder of any of the following cards. This list may be amended from time to time with prior notice to you. What types of transactions are eligible or not eligible for this redemption? Redemptions can only be made on retail transactions of a minimum of RM200 per transaction. Such transactions may already have been reflected in your past statement or may be unbilled. 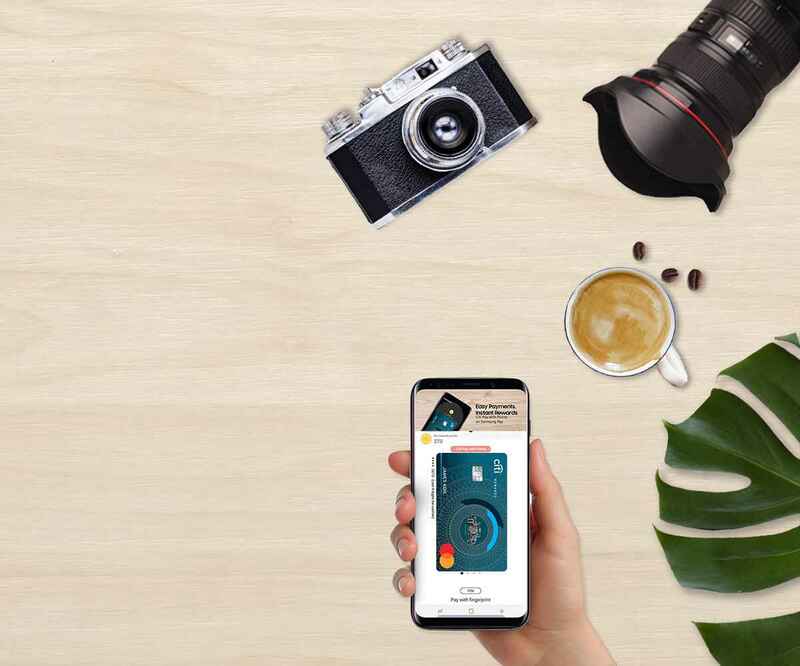 Transactions that are not eligible for Pay with Points Online include temporary authorisations, as well as payments for instalments and cash-based products such as Easy Pay Plan, FlexiPayment Plan, Cash Advance, Dial-for-Cash, and Balance Transfer. Citi may determine or modify these criteria for eligible transactions with prior notice to you. Once I make a purchase with my credit card, how long will I have to perform a redemption for that transaction? You will have up to 60 days to redeem your purchase. Is there a limit on the number of transactions I can choose? Yes, you may only select up to 5 transactions at any one time. Can I still make a redemption if I don't have enough points or miles to cover the entire transaction? No. To use Pay with Points Online, you must have enough points or miles to cover the entire transaction amount. Partial redemptions are not allowed. I had redeemed a purchase using Pay with Points Online, but had then returned the purchase to the merchant. Can I cancel my redemption and get my points or miles back? No. Redemptions cannot be cancelled or reversed. Once your points or miles are transferred, they cannot be returned. Hence, please select your eligible transactions carefully before you redeem them. Is there a service fee to use Pay with Points Online? No. There is no fee when using Pay with Points Online. Where can I view my Pay with Points Online redemptions? The redemption information will appear on your next credit card statement. Additionally, you can also view this on the Citi ThankYou Rewards website under "My Order History". Do I still have to make the required minimum payment and/or payment on overdue amounts on my credit card account if I perform Pay with Points Online redemptions? Yes, the required minimum payment and/or overdue amount reflected on your credit card statement must be paid in accordance with your credit card agreement. Your payment obligations do not change. Can I reverse my points/miles redemption? A submitted request for the Pay with Points Online redemption is final and cannot be changed, cancelled or refunded. How do I check my points/miles balance? 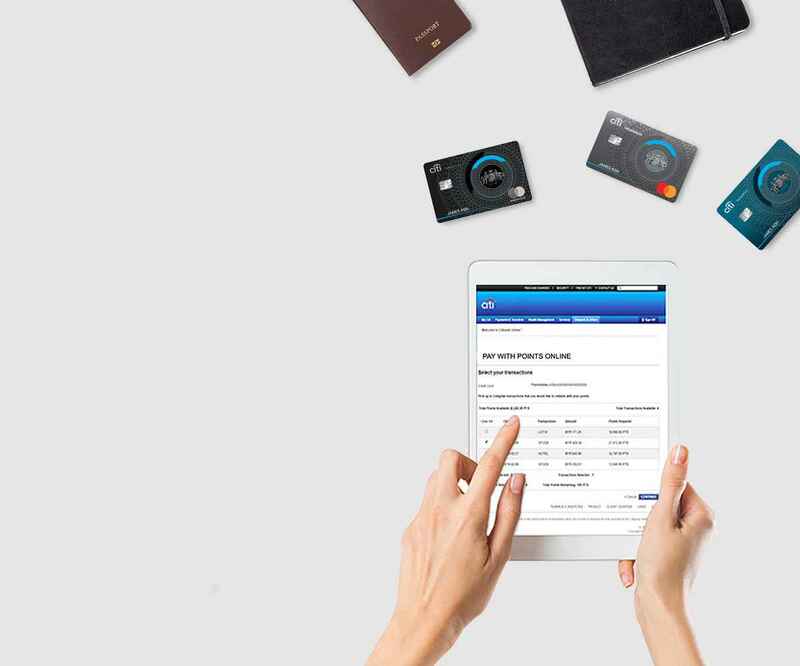 You may check your points/miles balance via your credit card monthly statement or if you are logged in to the Citi ThankYou Rewards website at www.citibank.com.my/thankyou your points/miles are displayed below your name at the top right hand corner of the website. Why can't I redeem my available points/miles? Please check the status of your credit card. If your credit card account is not in good standing, or has been closed, cancelled or terminated whether by you or by Citi, you will not be able to redeem your available points/miles. Redemption is only applicable when you have sufficient points or miles. No. Pay with Points SMS will be sent to principal cardholder. Hence, only principle cardholder can perform the redemption. No. your redemption order(s) cannot be amended or cancelled once it has been completed and accepted by us.